You probably are thinking now that you know how to do it, do you? Almost 90% of job applications these days are electronic and most employers are favouring job application by email. This is a true inference even if you look at the jobs we advertise. Now that we know that going green is the next big thing, don't you think it is time for you to know how to apply for a job through email. As I said you think you know it but believe me, most people don't. If you look at the Emails we receive from job applicants, as an employer you can find it very hard to shortlist candidates because of the format of the job application. If you make it very hard for an HR executive to go through your CV, you will likely not be on the shortlisted candidates. 1. The subject line of the email should be the reference in the application letter displaying the intention of job application and the job applied for. 2. If the job has a reference number, please include it on the subject line of the email. Check carefully in the job application and this will make it easy for the employer. 3. Do NOT attach certificates in pdf or scanned copies unless asked to because the information you are displaying is a repeat of what you have said in the CV. This makes the email heavy for nothing. 4. 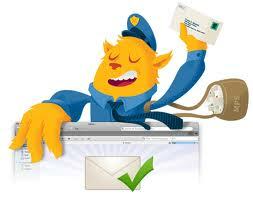 The main body of the email should be exactly the same as that of the application letter. Do NOT change anything. 5. Attach only two documents in your application, a CV and an application letter (the same as the email body) in MS Word or PDF format, Attaching the letter is necessary in case you are shortlisted and the employer needs to print it. 1. Do NOT include the CV as a subject body, this easily distorts the format of the CV especially if you copy paste it from a Word document. 2. Your email address should very clear and if it is not, please ensure it is. The email should contain your two names for example if your name is John Kamau then an example of your email address should be john.kamau@gmail.com and that is it. Avoid any other innuendo. 3. Maintain your professional names and not any other fancy nicknames and then write them in a clear way without adding any madoido in them. If your name is Dennis dont wirte it as Deynnis or Dennys. 4. Avoid a lot of colors in your email. I know there is temptation to incline to beauty but some people do NOT like a lot of color. Imagine if you were working and someone sent you an email with a lot pink and red on the background. It distorts the message. 5. As I said before avoid attaching a lot of documents in the application like certificates, recommendation letters and any other relevant paperwork, you will get the opportunity to show them because, I assure you they do NOT have anything to do with short listing. Save them for the interview.